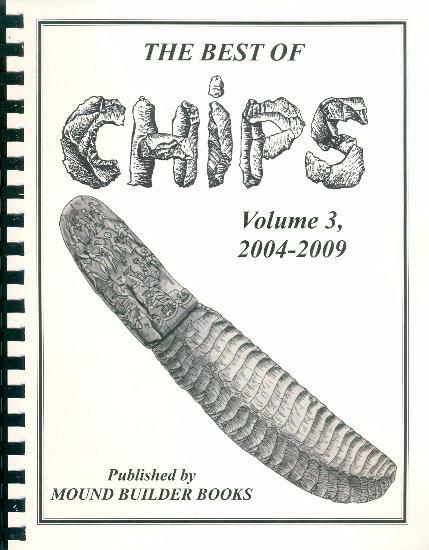 The Best of Chips, Volume 4, 2009-2011. 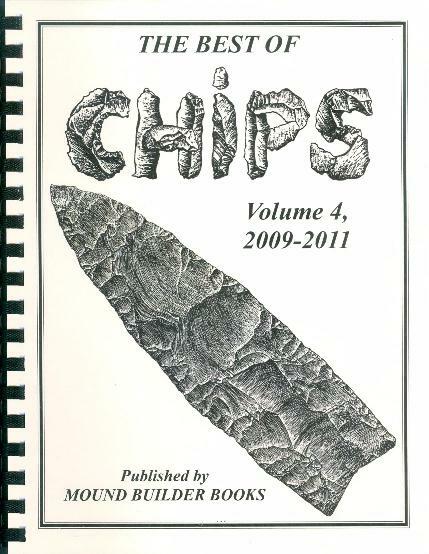 In this fourth Best of CHIPS we have 23 entries, and 14 cartoons from CHIPS Volume 21, Number 2 through Volume 23, Number 4. 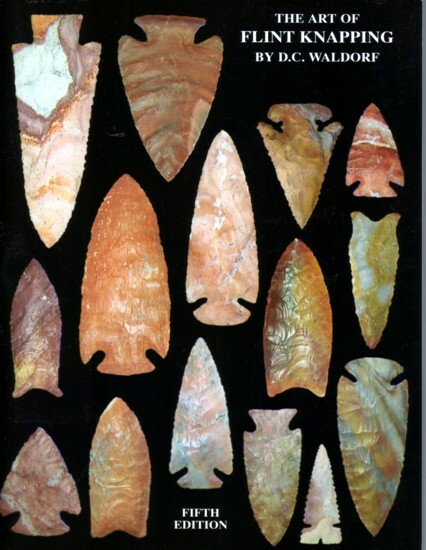 The major articles deal with making Ishi points, new material on Cumberland Points, revisiting the Richey Clovis Cache after 20 years, an extensive article on instrument-assisted fluting of Clovis points, making large Z-flaked Dalton points, making points from bottle bottoms, getting the most out of a Kentucky flint nodule, putting a tree bark handle on a Type I-B dagger blade, and three more articles that needed to be in this last volume even though they don’t quite fit the criteria. “Valerie Waldorf: The Making of a Master Illustrator” is a tribute to D.C. Waldorf's late wife who’s drawings graced the pages of CHIPS and many other publications until her untimely death in 2005. “Scar Patterns: An Illustrated Guide” showcases more of her work while explaining some of her drawing techniques, and at the same time attempting to educate the novice knapper in the vagaries of flake scar patterns. The last one is about D.C. Waldorf in his own words. 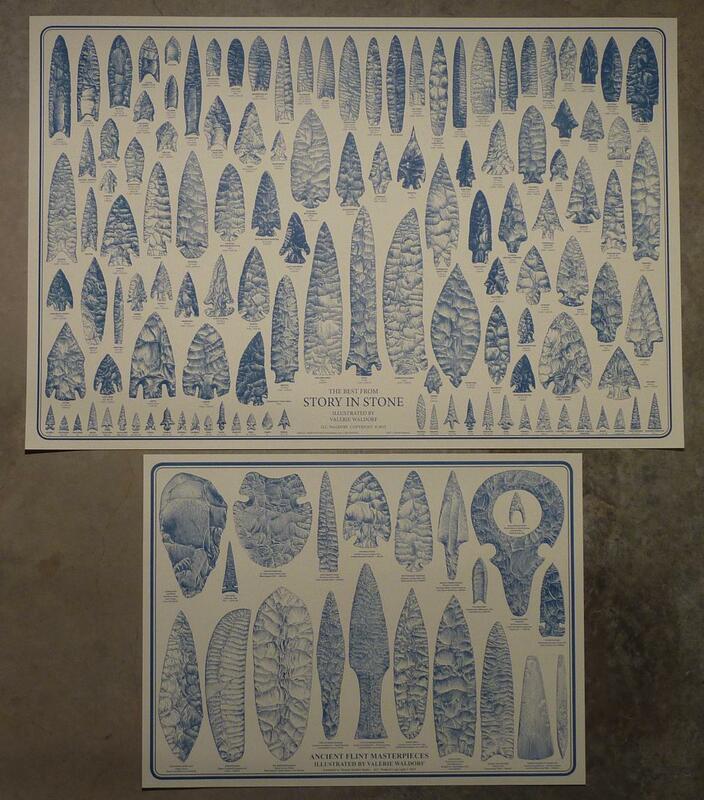 How he got into knapping, founded a business, and came to publish books on knapping and eventually CHIPS magazine. 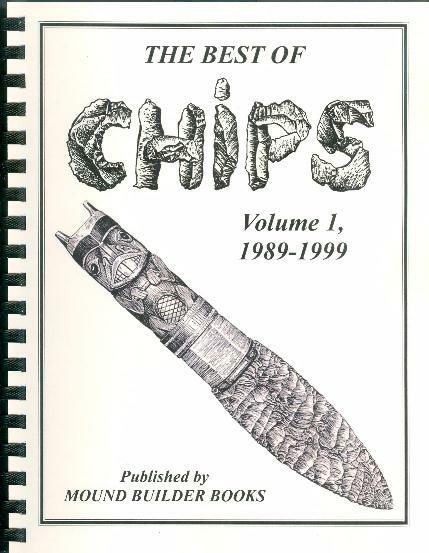 For those who have the old four volumes of The Best of CHIPS this volume should be considered as No. 5! Comb bound, 110 pages, $22.